Place the oats in a blender and grind several seconds. Add all remaining ingredients and pulse to blend several seconds. Pour into glasses. 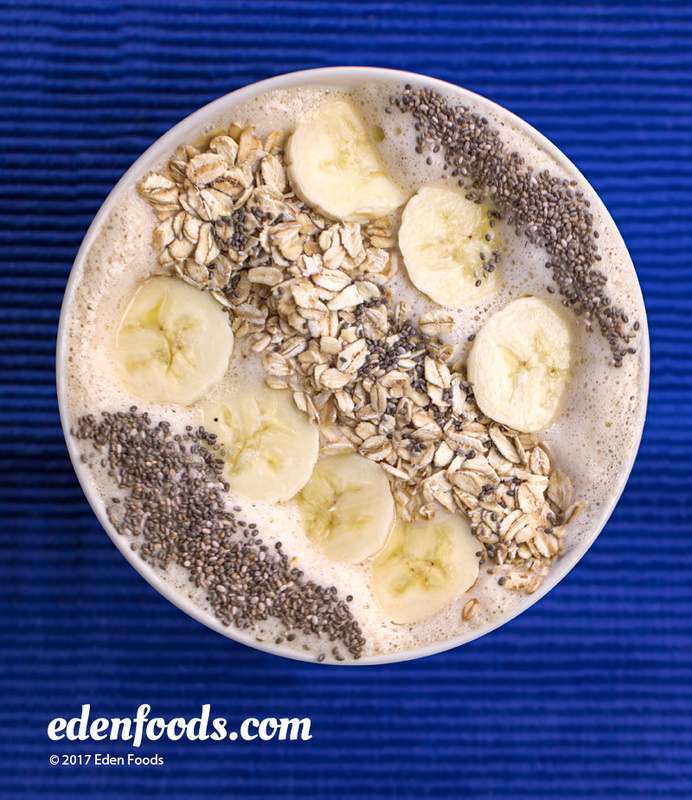 Sprinkles oats, bananas and chia seed on top of the bowl. Oat flakes provide an extra fiber boost.